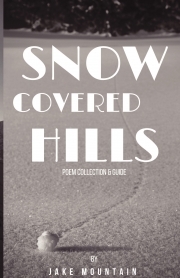 Description of "Snow Covered Hills"
Dearly believing, poetry crystals the character, this work is made for everyone whose enthusiasm is the key to open new profoundness in love and life. The book gained its shape with the thoughts and poetry in most abstract form, which remains declined rule in the modern establishment of education but which in authors statement – a needed cliché to find own tuned voice. Reviews of "Snow Covered Hills"